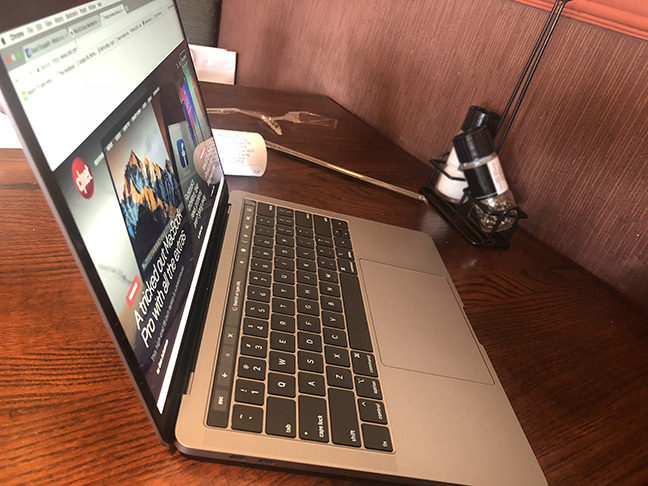 Yes, I was a skeptic earlier this week, but now that I’ve had the 13-inch MacBook Pro in my hands for two days, I am impressed with the minor (but important) improvements. I’m specifically reviewing the version that has the Intel Core i5 processor (8th gen), 8GB RAM, and a 256GB SSD. It retails for $1799, but you can certainly get it slightly cheaper with student or work discounts. Although the 2018 MB Pro looks just like the late 2016 and 2017 versions, it’s definitely different on the inside. Perhaps the biggest improvement from last year’s version is speed. The 8th generation i5 processor runs on four cores, which makes a large difference with some advanced tasks. I’m not going to get into specific numbers and other things that are hard to understand, but I’ll give you a real world example. You can definitely work with editing 4K videos on this MacBook Pro using Final Cut Pro, and the results render much faster. Working with 4K videos operates pretty smoothly, for the most part. Of course, you could do the same on the 2016 and 2017 13-inch MacBook Pro, but there is more stuttering, more delays, and it takes at least 40 percent longer to render the final videos. 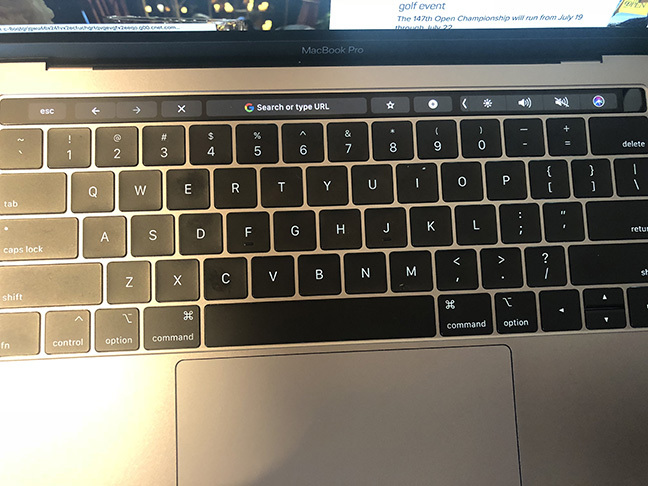 The 2018 MacBook Pro's keys have slight improvements. There have been a lot of issues with Apple’s new Butterfly keyboard, and the third generation Butterfly keyboard is actually slightly different. First of all, crumbs and other small particles no longer get stuck due to a slightly flexible enclosure that is now built into the keys. Even better is the fact that the keys are more quiet. The tapping sound on the 2016 and 2017 versions of the MacBook Pro’s keys wasn’t awful, but could get quite annoying. You can now use the keyboard in bed with your partner without waking them up. Apple has not increased the resolution on their MacBook Pros since 2012, and this is disappointing. After looking at the 4K screen on the new Dell XPS 13, you can easily notice the lower resolution on the 13-inch MacBook Pro, especially when it comes to printed letters. However, Dell could never match Apple’s contrast ratio, which is near perfect. Apple added their True Tone display technology to the new MB Pro, which keeps the white balance of the display appearing the same regardless of ambient light. It works very well as it makes the colors pop out more and causes less eye strain. When you turn the True Tone setting off, you see that the screen is still colorful, but develops more of a blueish tint. It’s surprising that the improvements made on the 13-inch’s speakers haven’t been discussed. Perhaps that’s because the speakers on the two previous generations were already good (but noticeably “not as good” as the 15-inch Pro). But even though the volume hasn’t changed, the fullness of the speakers has on this generation’s 13-inch Pro. There is not only more bass, but the sounds seem more spaced out. This won’t replace your home speaker system, but you may be satisfied without having to connect the MacBook Pro to an external speaker. Actually, the only really negative things about the new Pro is that it still has the gimmicky Touch Bar (I know, some like it), and the price tag is still too high when compared to Windows laptops that have similar specs — specifically, Dell’s fantastic new laptops. But when you compare Dell’s awful customer service to Apple’s, paying a couple hundred dollars more for a MacBook Pro may be worth it. 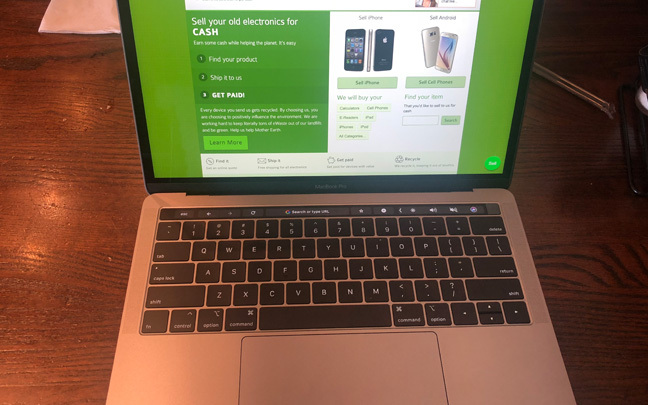 This entry was posted in Review and tagged 13-inch MacBook Pro, 2018 MacBook Pro, MacBook Pro. Bookmark the permalink.